San E has continued with the feminist issue mess, this time at a concert for all of Brand New Music. Obviously there were people there who wouldn’t want San E around due to the recent controversy anyway, but this was even a worse crowd to do this in front of because there were a ton of idol fans there. they brought w1 lightsticks to the concert. even bnm artists said something along the line "we have to say thank you to w1 fans". it was never about the "family" in rhymer's decision to have chamhwi use their one evening off for this. or return tickets, the "brand new year concert ticket transfer" was active upto hours before the concert. interpark didnt allow ticket cancellations or returns, so fans still went to see their kids despite san e. is that somehow their fault now? wanting to support their kids? Feel free to read the entire thread for a fan account if you wish (or watch San E’s edited video here), but the point is that San E making a mess of things for the whole audience was awkward at the very least. As such, Rhymer had to come out and apologize for San E.
I actually don’t have a problem with anybody going after the radfem groups for reasons I’ve explained before, so I guess what it comes down to is whether you believe those are the only people that San E has gone after. Unfortunately, as I’ve also expressed before, the problem with that narrative is he has conflated toxic radfem activities with reasonable arguments made by feminists (like with the gender pay gap stuff and what not) and thus I’m not sure how one can believe he wasn’t lashing out at feminist groups and roping them in with the radfem sites. As such, his whole shtick right now just rings hollow for me. He got a ton of backlash at the outset for his views of feminists, even from those close to him, so he’s now trying to rebrand and convince people it was always only about radfems. Speaking of that, he continued to speak out for victimized men or something, releasing “Oong Ang Oong“. Comparing radfems to Nazis and the KKK seems … alrighty then. 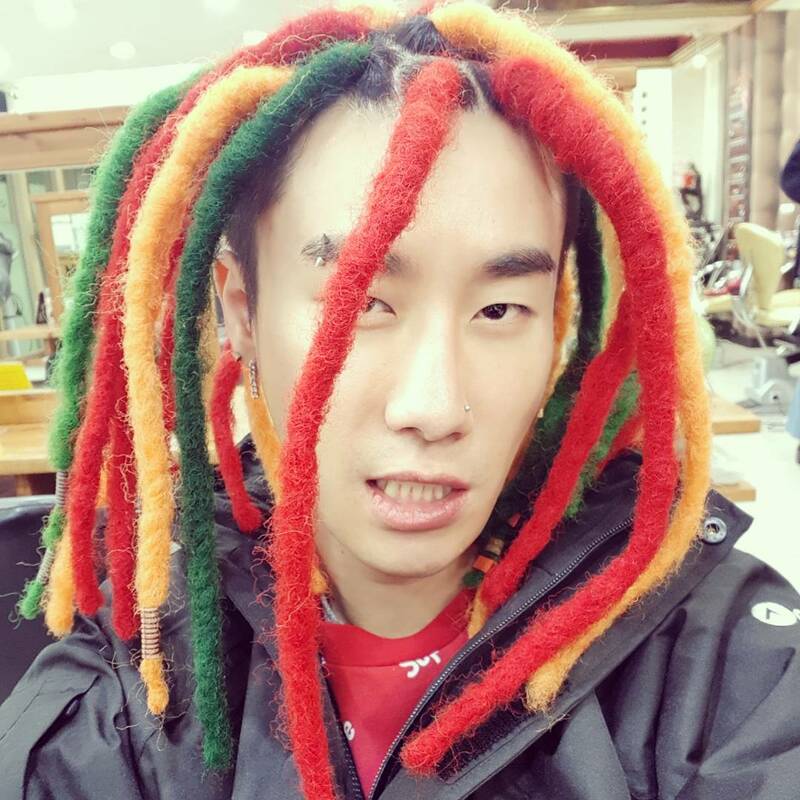 Anyway, for those hoping this will be San E’s downfall, I actually don’t think that’ll be the case even if he does eventually become too toxic a property for Brand New Music. The reality is that there’s always a huge market out there for those willing to bootlick for the establishment. Since none of this stopped fans from being mad that they basically paid a lot of money to see their idols and instead were subjected to unhinged rants from San E, Brand New Music released an apology of sorts. Think they make it quite clear that he has the backing of his company, likely for the reason I mentioned above. Attention is valuable.